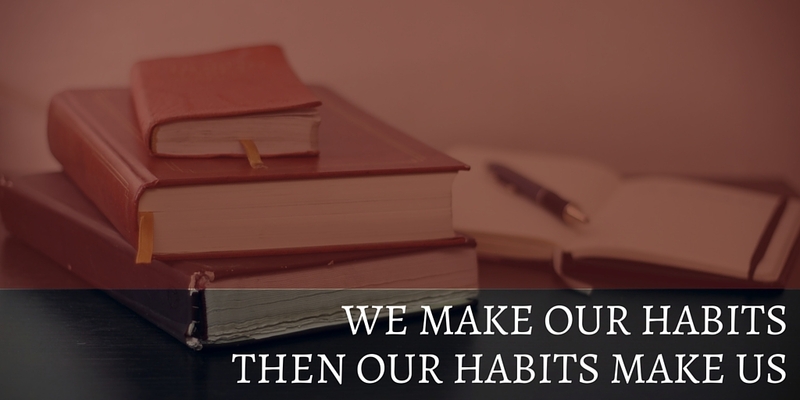 Steven Covey said, “We make our habits, then our habits make us.” We each choose to cultivate different patterns in our lives. 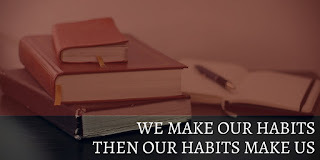 If you desire to grow spiritually, you can facilitate that growth by choosing and developing the right habits. The four gospels (Matthew, Mark, Luke and John) give us accurate, historical accounts of Jesus’ life. If you want to follow Jesus, you must know what He did, where He went, how He spoke and who He loved. Read these books and pay special attention to Jesus’ commands. Ask yourself each day how you might become more obedient to Him. Jesus was wisdom personified. Every aspect of His life was aligned with the truth of Proverbs. Every truth of Proverbs is aligned with Jesus’ life. Wisdom is learned and developed over time. Read at least one verse or chapter of Proverbs every day and let the words sink into your soul as you walk through your daily routine. God loved the world so much He sent His Son to us. He still loves the world and know He has sent us to take His Son to the world. You encounter people, every day, who need to hear that God loves them. Whether they are discouraged, suffering, lonely, confused or even if life seems good; the love of God is a wonderful message. You don’t need to be a theologian and you must not be judgmental. But be loving, speak lovingly and tell them God loves them. This may seem crazy, but you need not give away vast amounts. Buy someone a candy bar or a drink from a machine. Pay for someone’s meal at a drive thru. Give a couple dollars to a child. Sometimes, give more sacrificially. You will discover that money is not as important as you thought it was. You will discover that God has given you more than you thought He had. You will discover that all your needs are indeed taken care of (because you will discover that what you thought you needed was not at all your true needs). Self-centeredness always keeps us from growing. Focus on others cultivates a heart of generosity. By regularly praying for others, you will discover you become closer to them throughout the day. You will listen more attentively and find yourself more concerned with their needs and desires. Praying for your family, friends, neighbors, coworkers and others will make you more like Jesus. James said we should all be quick to listen. Finding people who can speak truth into your life, to whom you can regularly listen, will enable you to grow more than you might imagine. Ask those around you to correct you, to guide you and to invest you. Humbly receive their advise, their praise and their criticism. As you listen, you will grow. Close out your day by remembering and acknowledging the many ways God blessed you throughout the day. Remember how He cared for you and protected you. Acknowledge how He provided for your needs. Thank Him for the joy and laughter the day brought and thank Him for carrying you through the day’s sorrows. Thankfulness leads to contentment and contentment to generosity. Generosity is a character trait of our Heavenly Father. Be like Him!